I will give you the clinical definition then we will look at it from the Metaphysical side. Then you will be able to see how it works in your life. 1: Aware of one's own existence, sensations, thoughts, surroundings, etc. He wasn't conscious of the gossip about his past. 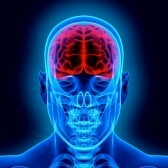 3: Having the mental faculties fully active: He was conscious during the operation. 4: Known to oneself; felt: conscious guilt. 5: Aware of what one is doing: a conscious liar. 6: Aware of oneself; self-conscious. 7: Deliberate; intentional: a conscious insult; a conscious effort. 8: Acutely aware of or concerned about: money-conscious; a diet-conscious society. 9: Obsolete. inwardly sensible of wrongdoing. We are not an accident. The parts that make up our human form is not an accident. Universal Mind or God gave us this self-awareness so that we would have more control of our life’s. Race Mind “which is the collective thinking of society” clouds our Vision of who we are. Religion does this also. In Sigmund Freud’s psychoanalytic theory of personality he wrote:” The Conscious Mind includes everything that is inside of our awareness. This is the aspect of our mental processing that we can think and talk about in a rational way. The Conscious Mind includes such things as the sensations, perceptions, memories, feeling and fantasies inside of our current awareness. Closely allied with the conscious mind is the preconscious, which includes the things that we are not thinking of at the moment but which we can easily draw into conscious awareness. 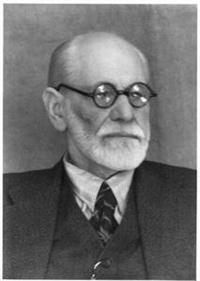 Sigmund Freud was the founder of psychoanalysis. He is often considered one of the best-known thinkers in psychology, but also one of the most controversial. So we see Conscious Mind is more than just being awake. This next part is for the benefit of those who are not familiar with Metaphysics-For-Better-Living. I am a Science of Mind Minister and I believe SOM contains the best and easiest definition on this subject. 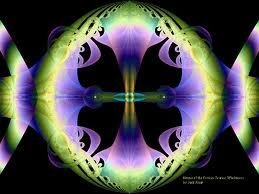 CONSCIOUS MIND.--That Power of Consciousness which knows Itself. That which is conscious of Its Own Being. "The Spirit is the power Which knows Itself." The Self-Knowing God. The Intelligence in the Universe which reveals Itself in all of Its Creation. If God were not Self-Conscious, then man could not be self-conscious. It is impossible for us to conceive of such a Universal Consciousness. We touch It only in spots, but the evidence of this Conscious Mind is strewn throughout all time and space; and the eternal activity of the Cosmos is proof enough that such a Conscious Mind really exists. When we look at it from the Metaphysical side we start to see how it works and how once understood, it will give us more control over our lives. If you visit Mind Body Spirit Connection this will give you more information on this topic. What is Consciousness? Well it would not be complete without the subconscious. SUBCONSCIOUS MIND.--The same as Subjective. The Spirit is Conscious Mind; the Soul is Subconscious Mind; It is like the soil or ground; It receives and acts. It is not a Know-er as Spirit is, but is a Doer, or Executor, of the Will of the Spirit. To sum up What is Consciousness we have to see that it is just one part of who we are. It starts to explain what we are which is an Individualized Center of God-Consciousness, a self-knowing center of Life and Action. I can not stress this enough, unless you study Metaphysics you will never know how easy it is to take Control of your life. Metaphysics-For-Better-Living.com is a Teaching Website, Visit SITE MAP FOR LIFE and continue your journey to a more Peaceful and Fulfilling Awareness.